A short little manga series that had a lot of potential but unfortunately got shelved due to her Vampire Knight series going on for 19 volumes (but that is amazing as well!). The story starts out about a girl who lost her love to a pirate and goes on to find the pirate who kidnapped her love. She finds out that the pirate captain is actually her love and she stays on the ship to be with him. They also run into problems with the navy, of course, and they have to stay out of trouble. The characters are pretty interesting, I just wished that Luce wouldn’t treat Arto like a little girl, but it is understandable as she is on a boat with a bunch of pirates. As I said, it ends short and there should be more to the story. If you love pirates though, this is a great short and will make you smile. Also, there is a short story at the end called Spring Cherry Blossoms that is also cute and heartwarming. 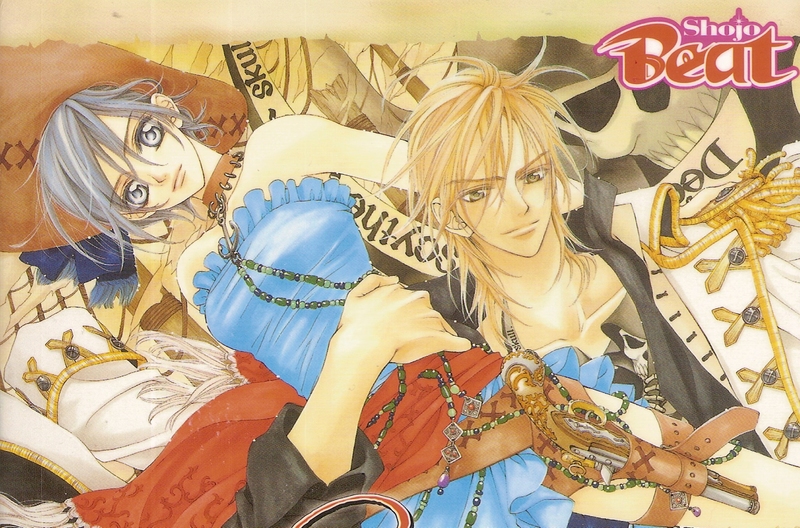 If you love Vampire Knight, definitely check this out. I give this manga a 5/5 as it wasn’t the story’s fault that it got cancelled or not finished as she had prior obligations. It’s beautiful, cute, and sweet and I never wanted to put the manga down.